Science journalist Bob McDonald will provide informative and entertaining narrative about science and beauty of the cosmos in a talk set to captivating visuals displayed on large screens, and backed by music performed by Jenny Vincent on the majestic organ of St James' Church. Bob McDonald, host of Quirks & Quarks, brings science to over 500,000 devoted CBC listeners weekly. He also is CBC's science correspondent for The National and hosts Heads Up! -- a series for children. McDonald's most recent book is Canadian Space Walkers : Hadfield, MacLean and Williams Remember the Ultimate High Adventure. Bob McDonald has received twelve honourary Doctorates, and two honourary college degrees. In 2011 he was appointed an Officer of the Order of Canada, and in 2014, asteroid 2006 XN67 was officially named bobmcdonald in his honour. 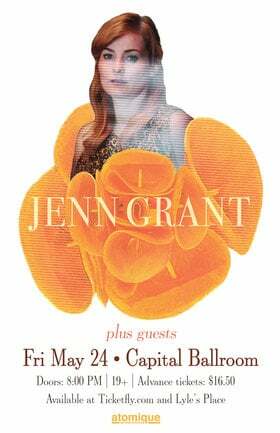 Jenny Vincent has played an eclectic mix of instruments over her career, ranging from the iconic Hammond B-3 jazz organ to Casavant Freres - 3000+ pipe organ. She has performed as a soloist throughout Canada and the United States. It is Jenny's passion to show off the organ as a versatile and contemporary musical instrument in our mainstream society. 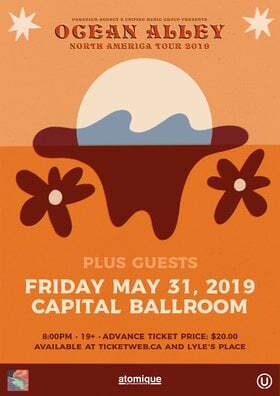 The first performance of a similar concert on Vancouver Island last year sold out and received ecstatic praise from concert-goers. 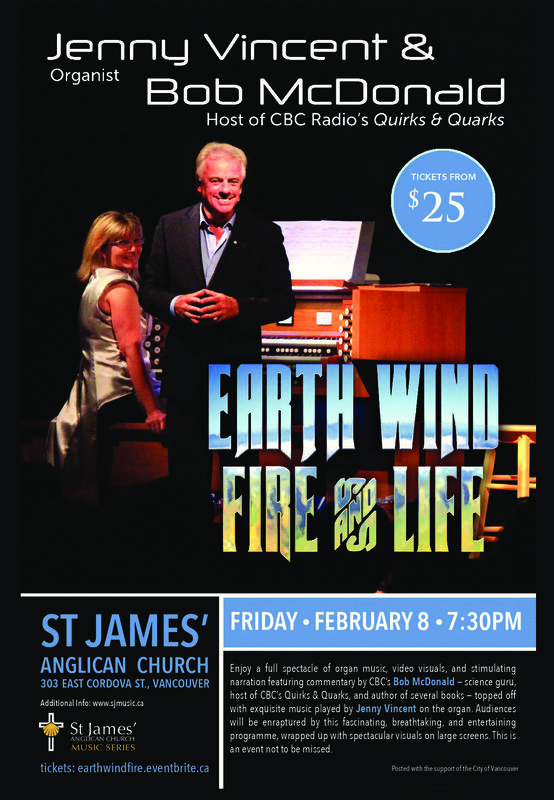 Bob McDonald & Jenny Vincent are presenting this concert at Knox United Church in Parksville on February 3rd, 2019 -- and it is nearly sold-out. 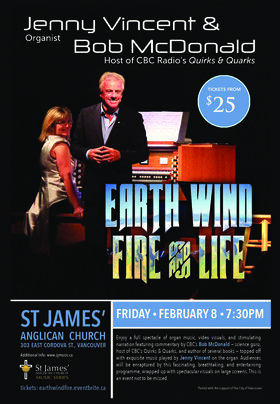 This thrilling duo will be performing at St James' Church in Vancouver on Friday, February 7th : Get your ticket now ! Audiences will be enraptured by this fascinating, breathtaking and entertaining program, wrapped up with spectacular visuals on two large screens. Not to be missed.